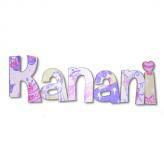 Add a personal touch to any room with our extensive collection of beautiful kids’ painted wall letters. There are a variety of color patterns and designs to choose from, and if you don't see one that matches the decor of the room you're working on, you can also choose to have custom designed letters made. 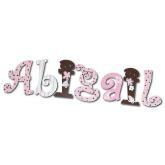 Your son or daughter will love having his or her name on the wall, and as an added bonus, younger children will learn letter recognition, too! These letters come in various sizes as well. 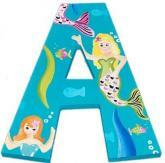 Order your wooden wall letters for your child today!